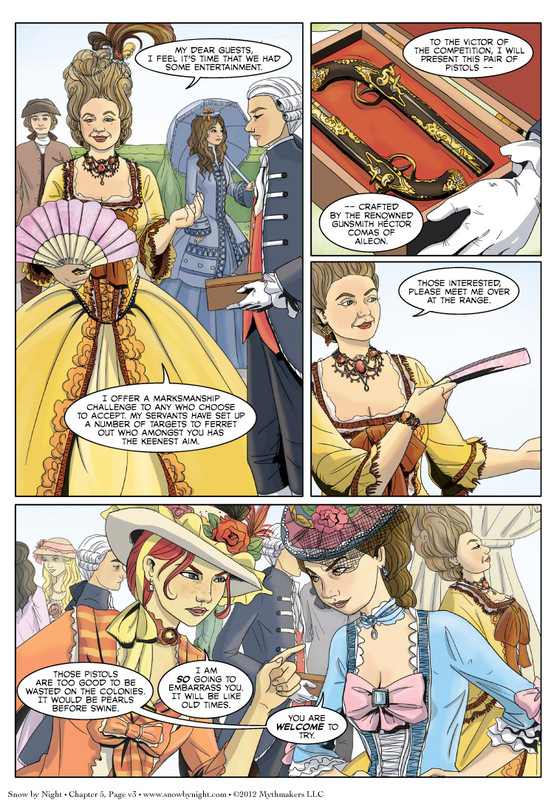 The Comtesse’s idea for entertainment is about to be co-opted by Vivienne and Marguerite in Page 3 of Losing by Winning. This should be an entertaining, but not the way you think, Comtesse. Sunny based those pistols off of a pair of flintlock pistols crafted by Samuel Brunn that are part of the MET’s collection. The design is a little bit later than our period, but they’re so beautiful I wanted to use them anyway. To see Sunny’s sketch for this page, please vote for Snow by Night on Top Web Comics.